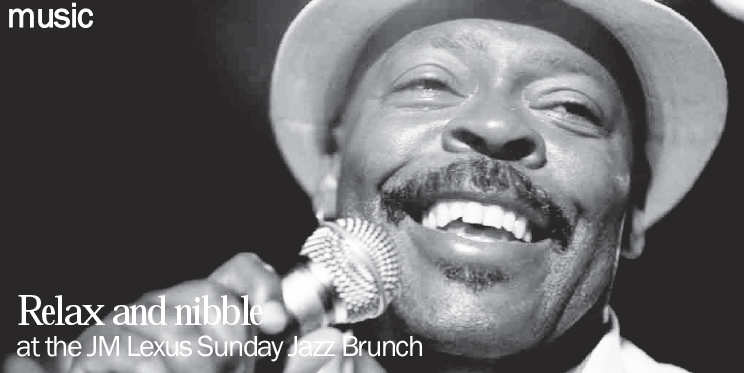 FORT LAUDERDALE – Jazz lovers can cap off their weekend with a relaxing afternoon of live music and food at the JM Lexus SundayJazz Brunch live concert series, which returns on Sunday, March 6 from 11 a.m. to 2 p.m. along the New River in Fort Lauderdale’s scenic Riverwalk Arts and Entertainment District. Everyone is invited to bring blankets, chairs and picnic baskets along with well-behaved, leashed pets to the free outdoor concert. Appearing at this month’s event is the Bill Scott Band on the Peck Courtyard stage at the Broward Center, Mike Norris Jazz Band on the Esplanade Stage and Victorya Cole and B3Jazz Quartet at the Connie Hoffman Gazebo. The Broward Center for the Performing Arts welcomes Jazz Brunch attendees to take a free, behind-the-scenes tour of the theater at 11:30 a.m. Sign-up for the tour begins at 11:15 a.m. in the main lobby of the Au-Rene Theater. A prior reservation is not necessary. For more information or to make an appointment for a private group tour, please call 954-468-3316. Parking is available at the county garage loc-ated on S.W. 2nd Street between S.W. 2nd Avenue and Brickell Avenue or at the Riverwalk Arts and Entertainment District parking garage at S.W. Fifth Avenue in Fort Lauderdale.